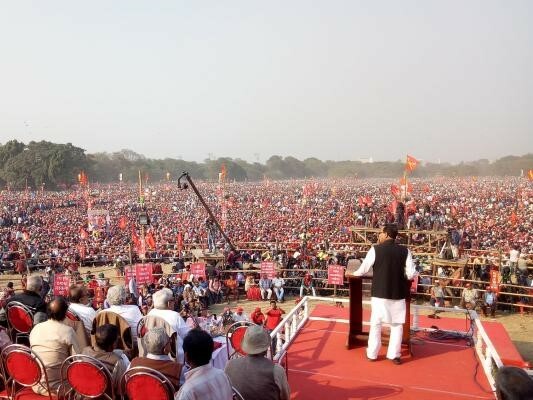 The election rally organized by the CPI(M) mobilized a million people in Kolkata. On February 3, one million people gathered in Kolkata for "People's Brigade" rally to oust the Bharatiya Janata Party (BJP) government from West Bengal in the forthcoming elections. The election rally was organized by the Left Front, an alliance led by the Communist Party of India - Marxist. “We do not want to defeat Modi just because we don’t like him. We want to remove him because we don’t like his policies. We have to fight for an alternative secular and democratic government,” said CPI(M) General Secretary Sitaram Yechury. He also criticized the "sham opposition" waged by the All-India Trinamool Congress (TMC) Party and claimed that the BJP and TMC are two sides of the same coin.